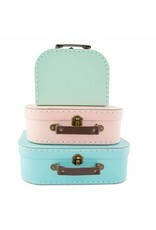 This charming Set of Pastel Suitcases are a lovely trio of on trend colours. 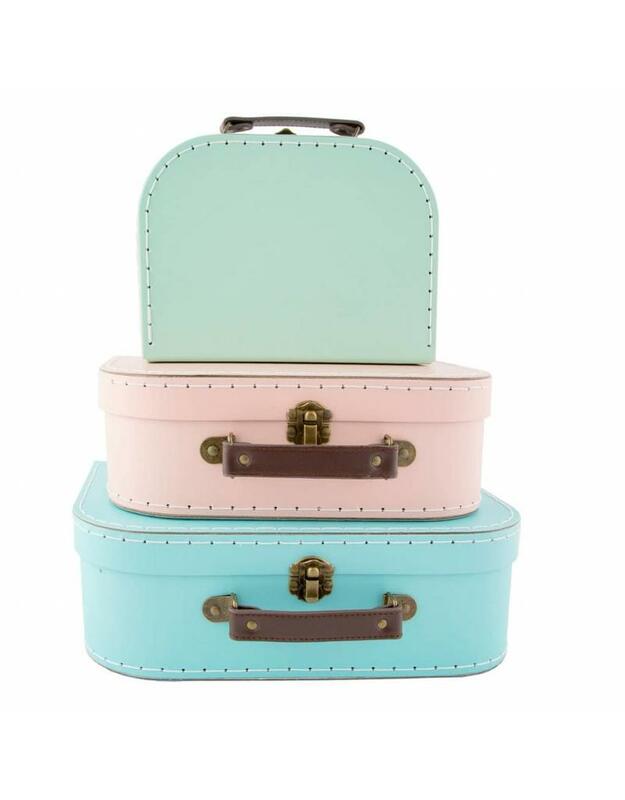 The little cases are perfect for cute and subtle storage. 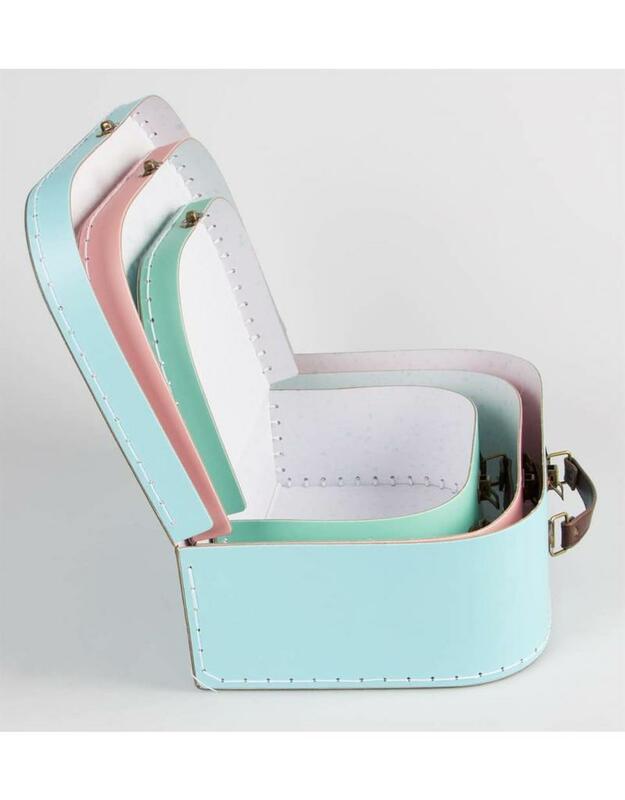 The three boxes tidy away inside each other and when filled show the three pastel colours; pink, blue and green. 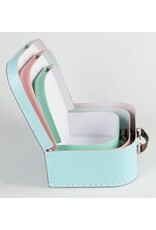 Made from Recycled Cardboard Paper, Metal Fixings and Faux Leather Handle.